Think your hot sauce is the King of Condiments? 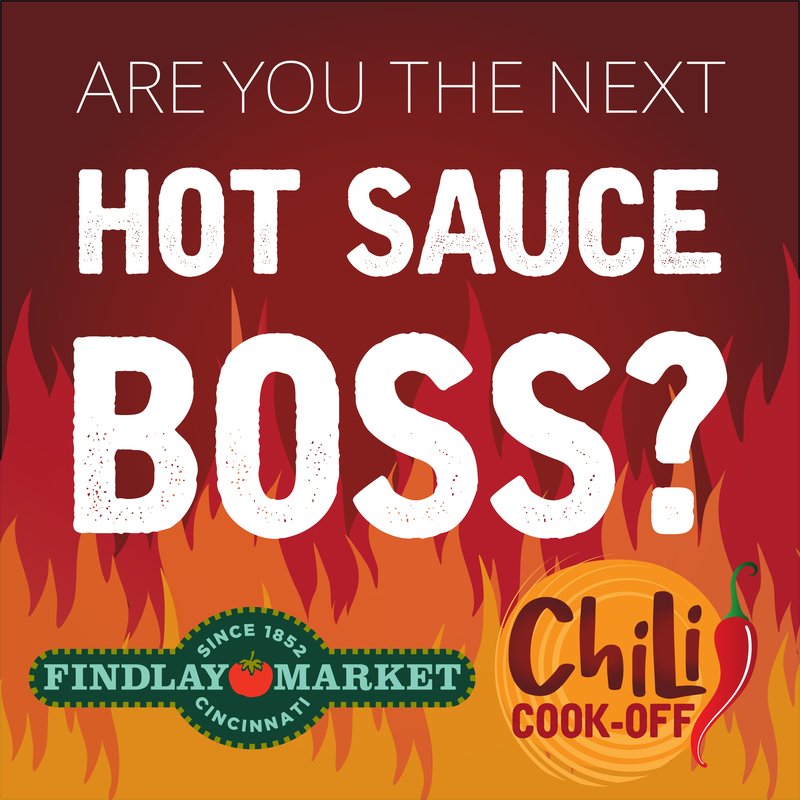 Visit HERE to register for the Hot Sauce Boss competition this Chili Cook-Off! The competition will begin Sunday, January 27th at 3pm in The Shed. Select Findlay Market merchants will sample and rank each sauce according to taste, creativity and total satisfaction. Note: judges will base their scores on the overall flavor of the sauce, not solely on how hot it is. 1st place will be awarded a prize basket from MadTree Brewing.